This event is unlike any other clinic or seminar. SummerStrong is unique in that its purpose and vision is to allow, and in fact, urge experts and recreational athletes to share and learn from one another, regardless of perceived level or experience. We realized long ago that the best training information was not always being conveyed at a sterile conference with hundreds of chairs, dark lights, and power points. Rather, it was in noisy, sweaty weight rooms, under a bar, chalk in the air, with ALL senses heightened. The golden nuggets of training info that changed our athletic careers were usually learned over a beer with strength peers away from the conference halls. It was learn-by-doing, and feeling the other person's passion for strength and performance enhancement. We were able to learn the backstory of coaches and athletes, and, most importantly, discover the stuff NOT written on the workouts. This year's SummerStrong event offers an estimated 7 CSCCa CEUs and 1.2 NSCA CEUs. Attendees seeking CEUs will receive a certificate for 3 days of attendance. We will confirm exact CEUs prior to the event beginning. Dr. Pat Ivey is currently the Assistant Athletic Director of Athletic Performance at Arkansas State University. He oversees the Athletic Performance Staff and is responsible to the training and development of all ASU’s sports teams. Ivey is also currently an Adjunct Professor teaching a course in Foundations of Sport Performance via an online Master’s program in Positive Coaching. On February 15, 2016, Dr. Ivey continued his service at the University of Missouri as the Assistant Vice Chancellor for Access and Leadership Development. In this role, he assisted with Community Engagement and Legislative Relations and K-12 pipelining and programming. Pat Ivey was named the National Strength and Conditioning Coach of the Year in 2013. In 2009, Ivey was also awarded the Major Mick Deaver Award for fostering good relations with students at the University of Missouri. These awards preceded his completion of a Ph.D. in Sport Psychology from the University of Missouri in 2013. In 2012, Ivey attained the status of Master Strength and Conditioning Coach from the Collegiate Strength and Conditioning Coaches Association. Also in 2012, Pat Ivey and Josh Stoner co-authored their first book Complete Conditioning for Football published by Human Kinetics. Pat Ivey lettered as a defensive end at Missouri from 1993-95. In 1995, he was honored as being the strongest athlete in the history of Missouri. In 1996, he was signed as a free agent by the San Diego Chargers. Beginning in 1998, Ivey worked as a Graduate Assistant Strength and Conditioning Coach, at the University of Missouri under Donnie Sommer. He started his graduate assistantship after spending time with Denver Broncos and during his time with the Green Bay Packers in 1999. Derek began his journey and passion into the world of human performance through his athletic success as a NCAA All-American and National Champion in track and field. Derek was able to apply that success beyond college when he represented his home country as a member of the Canadian National Team. Derek retired from track and field to pursue his passion, working in both the NFL and NCAA as a professional coach before taking on the world as a public speaker. Cal has been the Head Olympic Strength and Conditioning coach for numerous sports at the University of Minnesota since 2000. Since Dietz's return to Minnesota, he has developed their Strength and Conditioning Programs and overseen the daily progress in Men's Hockey from 2000-present, Men's' Basketball from 2004-2010, Women's Hockey from 2003-present, Men's Golf from 2000-present, Women's Golf from 2006-present Men's Swimming from 2000-Present, Track and Field from 2000-present, Baseball from 2000-2007, 2010 -present, and Wrestling from 2000 to 2004. Cal is also the co-Author of Triphasic Training: A Systematic Approach to Elite Speed and Explosive Strength Performance. Dr. Eric Serrano MD is the ace sought out by elite athletes and business professionals around the world for help with the most difficult of problems. Dr. Serrano spends a majority of his time promoting the success of his family practice patients in Pickerington; a suburb of Columbus Ohio. Amongst the thousands of patients are elite athletes from around the globe who will travel to the ends of the earth to consult with Dr. Serrano. Dr. Serrano scientifically engineers nutritional supplements available exclusively through www.infinityfitness.com. Cutting edge weight training, nutrition, supplementation and lifestyle videos directly from Dr. Serrano are posted onwww.Infinityfitness.com monthly. A unique approach to medicine enables Dr. Serrano to customize nutrition, exercise and supplementation protocols to support quicker success. A constant desire to learn leads Dr. Serrano to review thousands of patient hormonal blood work tests and read over 30 medical/ ingredient journals each month. At any given time multiple nutrition, exercise and supplementation trials are conducted within the Serrano Family Medical Practice. Multiple professional teams have hired Dr. Serrano for large consulting projects including competition improvement, injury prevention, performance nutrition and more. Dr. Serrano is a coveted speaker and conducts live webinars as well as seminars in the USA, Canada and UK. A wide array of athletes from the NFL, NHL, MLB in addition to countless elite amateurs make up Eric’s elite client list. His cohesive expertise comes from years of practicing medicine and his career as record-breaking natural powerlifter. 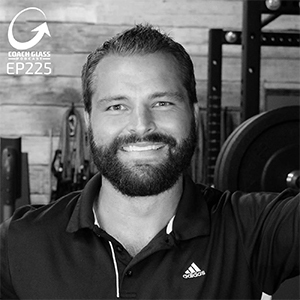 As a competitor and family man Eric understands the practical needs of his clients and pushes himself to stay on the cutting edge of medicine, training, supplementation, nutrition, injury rehabilitation/prevention and performance enhancement. Dr. Serrano is a graduate of Kansas State University and earned his medical degree for Kansas University, he previously served as an award- winning professor of family practice and emergency medicine at the Ohio State University. For more than 20 years Scott H. Mendelson of www.InfinityFitness.com has been helping clients ranging from business executives to professional athletes achieve their aggressive goals. Scott is a highly regarded performance nutrition and training specialist specializing in Elite Competition Performance Winning Strategies and Rapid Physique Transformations. In addition to designing customized programs for his celebrity, weekend warrior and executive clients, Scott works daily with professional athletes from the NFL, NHL, MLB, NBA and NCAA. Scott has built an excellent reputation providing effective supplements, cutting-edge information and unmatched service to thousands of clients worldwide since 1999. Mike Srock is the Head of Strength and Conditioning at James F. Byrnes High School in Duncan, SC. The Rebels have won the South Carolina 4A football state championship multiple times under his instruction over the years. The Rebels also hold the distinction of earning the 2008 National SPARQ Training Challenge Championship. In his tenure at Byrnes High, the Rebels have had 23 Shrine Bowl players, 28 North/South players, and 17 State Strength Meet Varsity Division Champions. Coach Srock programs and trains every sport (male and female) at James F. Byrnes High School. A graduate of St. Thomas University in Florida, Srock is a Certified Specialist for Speed and Explosion with the National Association of Speed and Explosion (NASE), and he also serves on the NASE National Board of Directors and the Certification Board. He is a Senior Level and Sports Performance Coach with USA Weightlifting, and a Bronze Level Coach with USA Wrestling. Srock is a Certified Tsunami Bar Coach and a Certified Kettlebell Instructor with KettleBell Concepts. Adam Kuehl represents Sorinex Exercise Equipment as the Head of Government Solutions and Training. He started his professional career in Human Performance as a world-class athlete in the discus; coached in NCAA Division 1 Athletics at the University of Oklahoma and Colorado State University. He then spent 5 years developing, coordinating and managing a HP program for a United States Army Special Operations Command unit in Stuttgart, Germany. During his time in Germany he established strong and positive relationships throughout US Special Operations Command and NATO Special Operations HQ. He has had the unique opportunity to speak to national and international audiences at the NATO SOF Commander’s Conference as well as the NSCA Tactical Annual Training Conference. He values the relationships he shares with HP staff from NATO SOF Partner forces in Norway, Holland, Belgium and Germany. Adam and his wife Courtney are both alumni of the University of Arizona, and in the University of Arizona Hall of Fame for their collegiate athletic accomplishments. After 4 years living in Germany, Adam lives in Tucson, Arizona and is a new addition to the Bosco Brotherhood where he will lead the development of new and strengthen existing relationships within the Government space. Bo Sandoval is the head strength and conditioning coach at the UFC Performance Institute. He has extensive experience with combat athletes and is now part of the organized team of professionals at the UFCpi. Bo Sandoval brings nearly 15 years of strength & conditioning experience that will provide UFC athletes with a wealth of knowledge while continually aiding in their individual development. He most recently spent eight years (2009-17) at the University of Michigan, with the last six as Assistant Director of Strength & Conditioning for Olympic Sports. During his time in Ann Arbor, Sandoval supervised a team of seven coaches while providing services to 170 of the nearly 800 Wolverine student-athletes that competed in 30 men’s and women’s NCAA Division I programs. Brett Bartholomew is a keynote speaker, performance coach & consultant, best-selling author, and Founder of the performance coaching and consulting company, The Bridge Human Performance®. His experience includes working with athletes both in the team environment and private sector along with members of the United States Special Forces and members of Fortune 500 companies. Brett is also a self-published, best-selling, author of Conscious Coaching: The Art & Science of Building Buy-in. Brett has coached a diverse range of athletes from across 23 sports worldwide, at levels ranging from youth athletes to Olympians. He’s supported numerous Super Bowl and World Series Champions, along with several professional fighters in both professional boxing as well as the UFC. Cameron Hanes is a bowhunting athlete who doesn’t just value skill, but more importantly hard work and dedication. He is also the author of two bestselling books which tell of how he got to the level of bowhunting he has achieved. His athleticism started during his high school days where he played football, basketball, baseball, and running. Hanes has made several guest appearances on Joe Rogan Podcast. On the podcast, he discussed bowhunting as an adventure and also presented it in an educational front. His discussion on the podcast helped educate prospective hunters and also served as an introduction to those who were never into hunting and didn’t have interest in it. Hanes tries to bridge that gap between hunting and the internet by using various media platforms to reintroduce hunting and to educate people on bowhunting which is his specific kind of hunting. MAJ Donny Bigham is in his 25th year as a member of the Armed Forces (Marines and Army). Donny Bigham has served in every position in an infantry rifle company (Enlisted and Officer). He has deployed in Support of Freedom in Belize, Bosnia, Afghanistan, Iraq, and Yemen >60 months. He served as the Strength and Conditioning Coach at the US Army Physical Fitness School from 2014 -2016. Instrumental in changing the US Army Physical Fitness test after almost 40 years. Since the June 2016, Donny has served as the Head Strength Coach for the Tactical Athlete Performance Center (TAP-C) and Chief of Human Performance office at Fort Benning, GA. The TAP-C is the first ever Performance center that trains over 600 Soldiers daily within a Combat Battalion. Donny was the 2016 Army Male Athlete of the Year and 2017 NSCA TSAC-F facilitator of the Year. Donny is a two time raw world master’s powerlifting champion (Finland and Texas) with the International Powerlifting Federation (IPF). Also, Donny currently holds the Squat WR (since March of 2016) in the IPF and the WR Squat, Deadlift and Total in the IPL. Donny is a 4x national champion and a 4x member of Team USA Powerlifting. Donny is the founder and owner of OneTimePowerlifting, L.L.C. Bachelor of Science Degree in Physical Education from University of SC and his Master's Degree in Sports Management with a concentration in Coaching Theories from American Military University. As a Warrior of Christ, Donny Bigham is married to the former Kelly Merrell of Rock Hill, SC. The couple has five children Dillon (currently serves in the Air Force), Derek (currently serves in the Army), T.J., Townsend, and Auten. Donny is scheduled to retire from the Army in the summer of 2020. Kaz Kazadi joined the Mustangs' staff as the Assistant A.D. for Human Performance in January of 2018. Kazadi oversees the Mustang strength and conditioning department, while serving as the head strength and conditioning coach for the football program. Kazadi comes to the Hilltop after one season as the Assistant Athletics Director for Athletics Performance at Arkansas State where he managed A-State’s athletics performance staff and program for all sports. Prior to joining the staff at A-State, Kazadi spent time with the Dallas Cowboys as an assistant in the strength department. Kazadi was a member of the strength and conditioning staff at Baylor from 2008-16, serving as the Associate Athletics Director for Athletic Performance during his last five seasons with the Bears. In 2013, he was named the American Football Coaches Association Strength Coach of the Year and the FBS Strength and Conditioning Coach of the Year by American Football Monthly. FootballScoop.com named him its National Strength Coach of the Year in 2012. In 2007, Kazadi was an assistant strength coach at USF where he helped the Bulls reach as high as No. 2 in the National polls and an appearance in the Brut Sun Bowl. From 2005-07, Kazadi was a member of the Kansas City Chief’s staff. A standout linebacker at Tulsa, Kazadi earned All-Western Athletic Conference honors for the Hurricane and was a Butkus Award semifinalist. He received his bachelor’s degree from Tulsa in sociology with a psychology minor. He went on to earn his master’s degree at Missouri in counseling psychology with an emphasis in health promotion and sport psychology while serving as a graduate assistant. Drafted by the NFL’s St. Louis Rams in 1997 after an All-American senior season which saw him earn a Fitness All-American Award, he played five years of pro ball, including stints in the Canadian Football League and the World Football League. A native of Zaire, Africa, Kazadi immigrated to the United States at age eight. His given name is Muadianvita Machkaz Kazadi (pronounced MA-jon-vee-tah ka-ZA-dee). He and his wife Monique have three children: Ra-sun, Isis and Rohon. Elmer is from Manning, South Carolina, where he is now the owner pf Breaking Bars Training Center. He played football at Clemson University from 1994-1997 where he was originally a walk-on, but earned a scholarship after starting his freshman year. He started 47 games in a row, was in 3 bowl games, and was a 4 year letterman. Elmer also served 3 years in the South Carolina National Guard. He was a high school strength coach for 15 years and a high school football coach from 1999-2019. He has trained and competed in both boxing and Mixed Martial Arts, and was also the 2017 Gold’s Gym National Champion for body transformation age 40-49. Megan was promoted to her current position as strength coach for women’s basketball and soccer in July 2010. As an intern at Auburn, she worked with championship teams in baseball, football, women’s soccer, and women’s basketball. A native of Durham, NC, Young came to Auburn after earning her Master’s degree in Exercise Physiology with an emphasis in Strength and Conditioning from Baylor University. While at Baylor, Young worked directly with the football and basketball teams while assisting with other sports in speed, strength, and explosive training. Prior to her time at Baylor, she served as a strength and conditioning intern at her alma mater, University of North Carolina-Wilmington. She earned her Bachelor of Arts in Physical Education from UNC-Wilmington, and was a four-year varsity athlete of the track and field team as a thrower. Currently, Young is working towards her Doctorate in Adult Education at Auburn University. Young holds certifications from the Collegiate Strength and Conditioning Coaches Association (CSCCa), USA Weightlifting (USAW), and USA Track and Field (USAWTF). 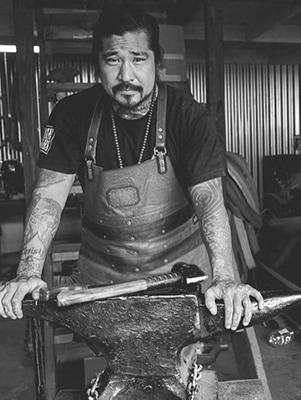 Neil is a knife maker from Hawaii who has used his creativity and skill to make a name for himself. Picking up this trade later in life, he was considered an underdog when competing on the show “Forged in Fire”, but then shocked everyone by winning the competition. While he is an electrician by trade, his great-grandfather was a blacksmith in Hilo. Neil expresses his art in the products he makes. 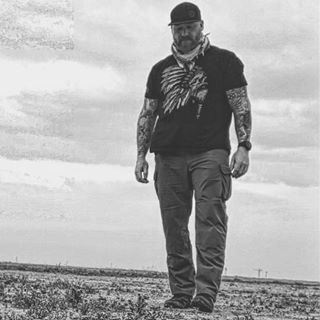 Ryan Michler is a husband, father, Iraqi Combat Veteran, and the Founder of Order of Man. Ryan grew up without a permanent father figure and has seen first-hand how a lack of strong, ambitious, self-sufficient men has impacted society today. He believes many of the world's most complicated problems could be solved if men everywhere learned how to be better husbands, fathers, businessmen, and community leaders. It has now become his life's mission to help men across the planet step more fully into their roles as protectors, providers, and presiders over themselves, their families, their businesses, and their communities. You can find him blogging and podcasting at Order of Man where he is working to help men become all they were meant to be. Tait Fletcher is one of the former MMA fighters in Light Heavyweight category. He holds a perfect start to his fighting career, defeating some of the toughest opponents that include Andy Montana and Shane Schartzer. After nearly being able to pull out the fighting skills, Tait officially retired from the MMA world in the year 2008 and explored his interest outside the ring. With the end of his interest in MMA, Tait decided to pursue yet another lifelong dream to be a stuntman. As he successfully stepped up that road, many offers started coming from the directors and stunt coordinators. Tait’s commitment to his onscreen has led him to work as a stuntman in many hits movies like Thor, Schwarzenegger’s Last Stand’ and the commercially acclaimed film titled, ‘2Guns’. His work became very successful as an actor and a stuntman, being a part of the most successful franchise, ‘Jurassic World’ and the worth watching television series, ‘Breaking Bad.’ Apart from the love of cinema as a risky job of a stuntman, Tait co-owns a locally co-owned gourmet coffee with his fellow UFC Veteran, Keith Jardine called Caveman Coffee. Vernon is currently the High Performance Director and Co-Owner of Virginia High Performance. As such, he oversees high performance programming and the multi-faceted holistic approach of the Continue Mission Program for active duty and military veterans at Virginia High Performance. Being an advocate for high performance training for youth athletics in Hampton Roads, Vernon has worked with hundreds of athletes from middle school to professional sports including extreme sports assisting over fifty athletes in receiving athletic scholarships for the BIG 10, ACC, SEC, and BIG 12 among others. While serving in the United States Air Force at Eglin AFB, Vernon started his education at the University of West Florida and then continued his education at Old Dominion University. Vernon is a proud father of the dynamic ginger duo Carson and Chandler and his wife Clara. Robin Lyon’s competitive history lead to her passion for a deeper understanding of human & sports performance. With over 18 years of combined athletic and coaching experience she is the Founder and Director of Coaching for MTN LAB Performance Coaching in Idaho. Coach Lyons designed MTN LAB to be a resource for local/remote athletes who want more than just a workout. Lyons loves providing structure and direction through her training prescription that not only enhances performance but educates the athletes on the why behind the training to help them reach their full potential. Robin’s experience is also supported by her ongoing education holding a Masters Degree in Sports Conditioning and a Certified Strength and Conditioning Specialist (CSCS) through the national strength and conditioning association (NSCA). Athletic Highlights: 5 time Regional CrossFit competitor, 5-time All-American in Division 1 Track & Field, a 2-time Canadian National Champion in Hammer & Discus, Brakeman for the American Cup Bobsleigh team, 6-time REMAX World Long Drive Championship Competitor.